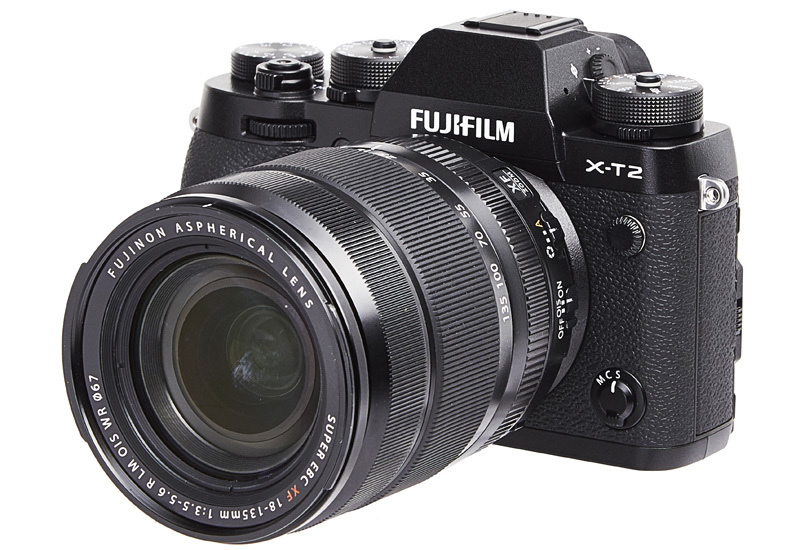 The X-T2 is Fujifilm's top-of-the-line DSLR format camera, and it’s built around the 24.3MP X-Trans III CMOS sensor. It follows after the very successful X-T1 camera from 2014, and carries over many of its strengths while fixing some weaknesses. 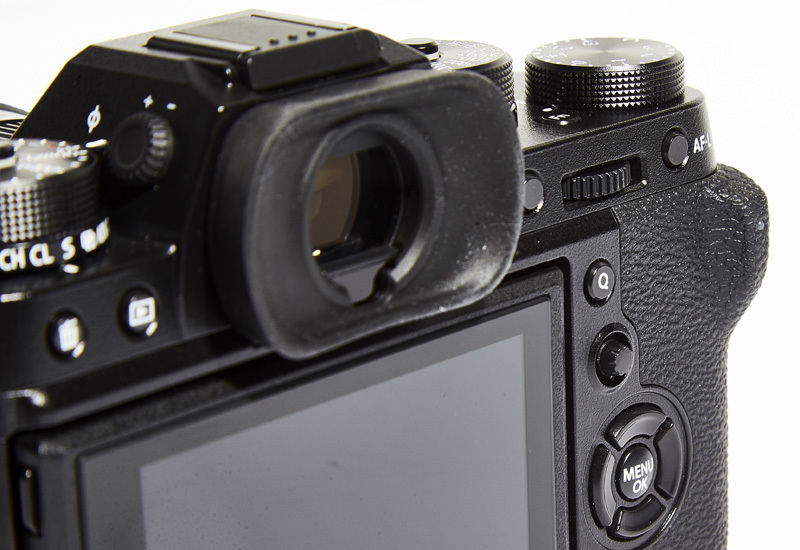 For example, the X-T2 is still weatherproof and dustproof, with three large command dials on the top for control of the main settings. The movie record button is gone – access to movie mode is now via the drive mode lever. In practice, this works fairly quickly, and we think it’s much better than the tiny record button before. Also improved, is the rear LCD. While it still doesn’t offer touch functions, the screen now incorporates an extra hidden latch that allows it to flip open as well as out. Basically, you can now tilt the screen upwards to face you when holding the camera in portrait orientation. That's a boon for those of us who've ever tried taking portrait-format shots from low angles, and saves you from cranking your head sideways. We like that the AF-joystick from the X-Pro2 has been carried over to the X-T2. It doesn’t quite make up for the ease of tapping an option direct, but it does make up for not having touch capabilities somewhat in that it allows you to select options (and focus points) much easier. And it's well placed so you can get to it even when your eye is to the viewfinder. Pressing it in also allows you to change the size of the AF group so you don't even have to jump into their excellent Q-menu to do so, making it yet another convenient shortcut. 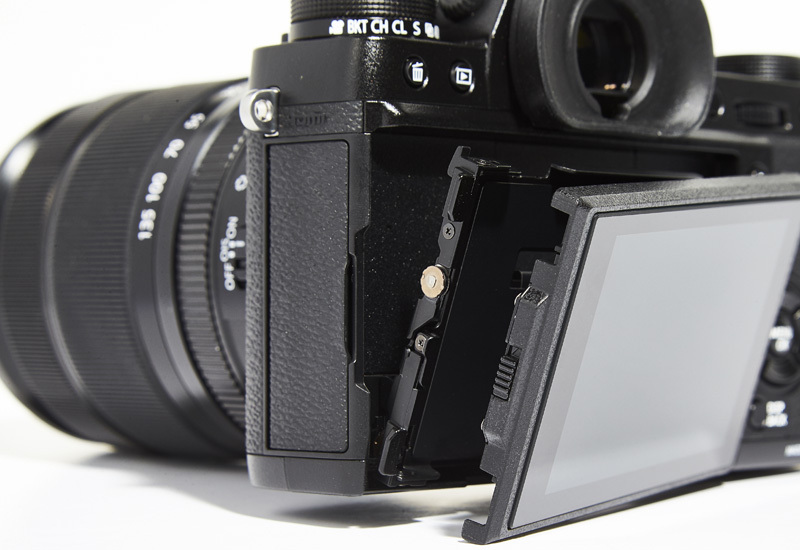 Like the X-T1, continuous shooting again maxes out at 8.0 fps with the mechanical shutter, but the X-T2 now does up to 14.0 fps continuous shooting using its electronic shutter. In this mode, the buffer captures up to 42 frames in JPEG before slowing down but the slower mechanical shutter will capture up to 83 frames, almost doubling the X-T1 (or tripling the EOS M5). 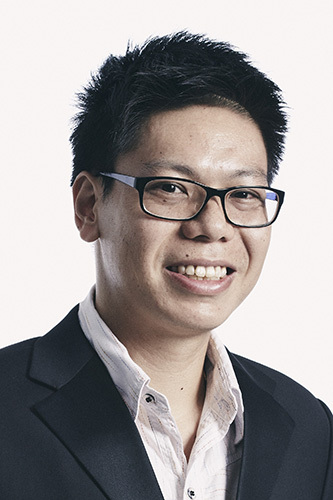 Apparently the autofocusing algorithms were also tweaked for more accurate focus, with the camera turning to phase detect AF more for faster speed and better accuracy. This is perhaps best seen with the camera’s continuous autofocus performance, as you can now fine-tune how the camera reacts to the subject you wish to track. Five presets are provided that you can adjust even further, covering everything from tracking subjects that accelerate or decelerate significantly (like motorsports) to objects that suddenly appear in the frame (like animals or ski-jumpers). There's also the option to create a preset to your preferences, so if you're covering a particular type of scene you can easily tweak the settings to match. Add to this improved video performance with the ability to capture 4K video and apply Fujifilm’s film presets for better color, and the added option of a boost mode (with or without additional battery pack) for higher performance at the expense of battery drain, and it’s easy to see that Fujifilm has made the X-T2 into a very strong all-around performer.